There is one registration office available for civil marriages in the Falkirk Council area. 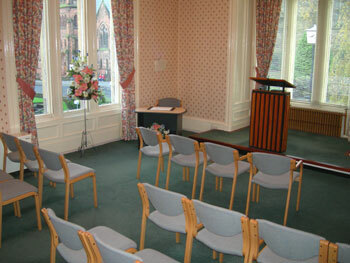 Located in the heart of Falkirk's town centre, this historical venue has an elegant and recently refurbished ceremony room. It is suitable for up to 40 guests and has full disabled access with car parking facilities nearby. If a venue is not listed below, please contact the Ceremonies Office for further information on 01324 506580.